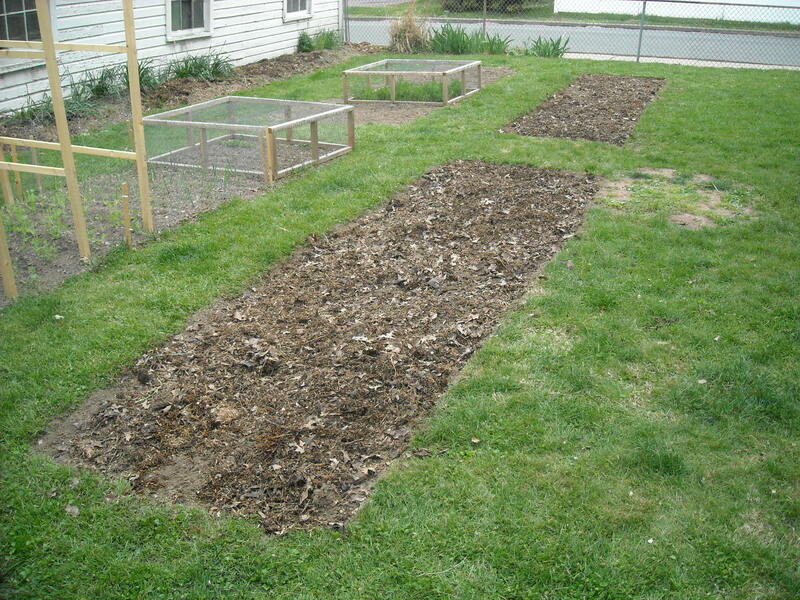 I finally completed my last two garden plots, now giving me a total of 4 plots to plant in. I created these plots the same way I have been creating plots since I first started gardening years ago. In fact, this is about the sixth time I had to cut sod to create a garden. 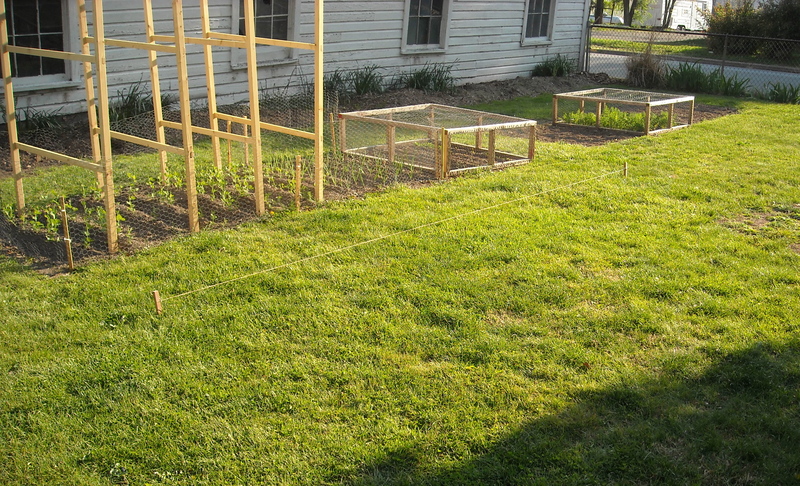 First I start by determining how big I want the garden plot to be and how much space I want to leave between the plots. 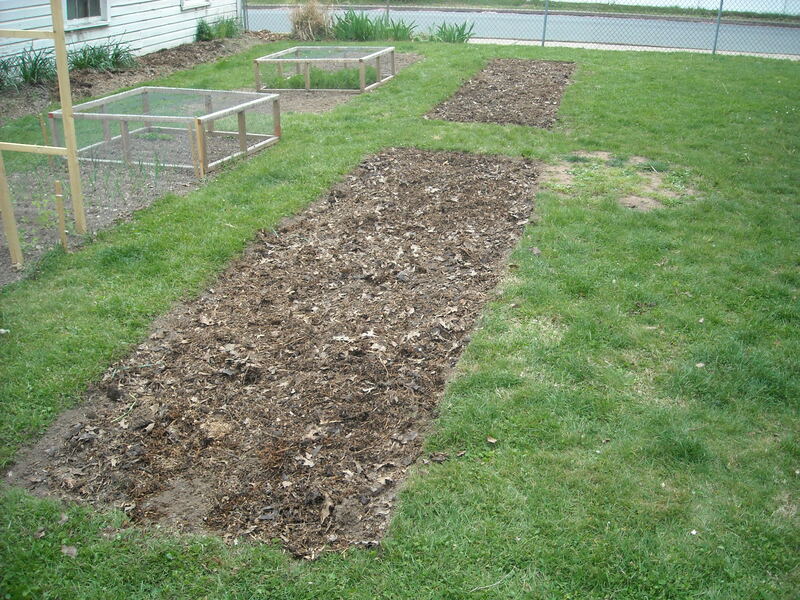 For these plots the formula is simple: 4 ft. wide and 16 ft long with 3 ft. between all plots. Since I wanted to place my new plot 3 ft. from my existing plot, I measured 3 ft. from the corner of the existing plot and drove a stake into the ground. Then I did the same thing at the opposite end of the existing garden plot. I ran a string between the two stakes creating what would be the edge of my new garden plot. Using an old edging tool I follow the string down the edge of the plot cutting through the sod. Once I have complete one side, I measure out 4 ft. from each corner stake and then drove a new stake into each corner. I then connect both of those stakes with string to create the opposite edge of the plot. Like the other side, I slowly work my way down the string using the edging tool to cut the sod. 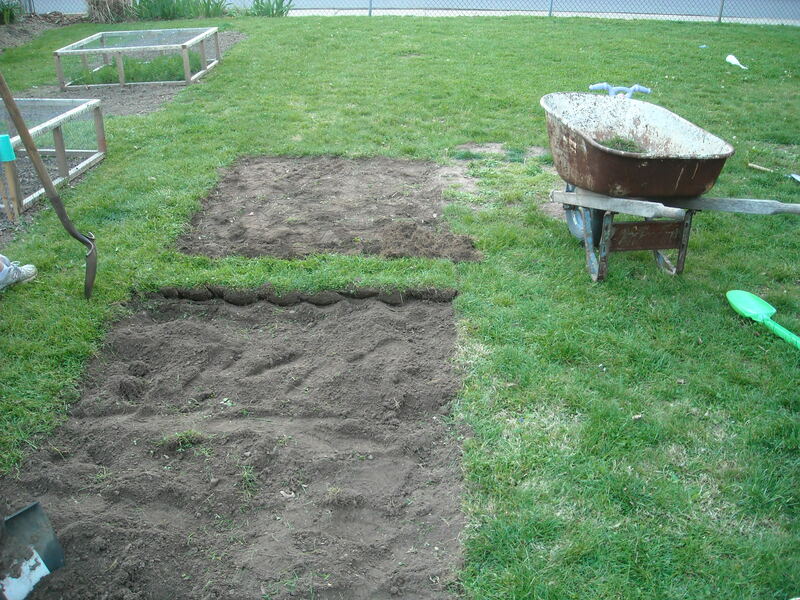 When both sides are completed, I cut the sod at each end of the plot. Since these plots are only 4 ft wide I just eye up my edge and work my way across the plot. Once the perimeter of the new plot was cut I worked my way down the bed using my edging tool to cut 18 inch wide sections of sod. I then used a standard spade shovel to remove the 18 inch wide section of sod, making sure to leave as much soil in the garden as possible. I used the sod that I removed as filler around my property. Once all the sod was removed I covered each plot with some decomposing leaves from the fall. In a few weeks I will run the rototiller through each plot, making sure the decomposing leaves are turned into the soil. Now with these two plots complete, I can focus on more growing. This entry was posted in General and tagged Backyard gardening, Creating a Garden, gardening, Homesteading, New Garden Plot, Organic gardening, Urban Gardening by M Riland. Bookmark the permalink.